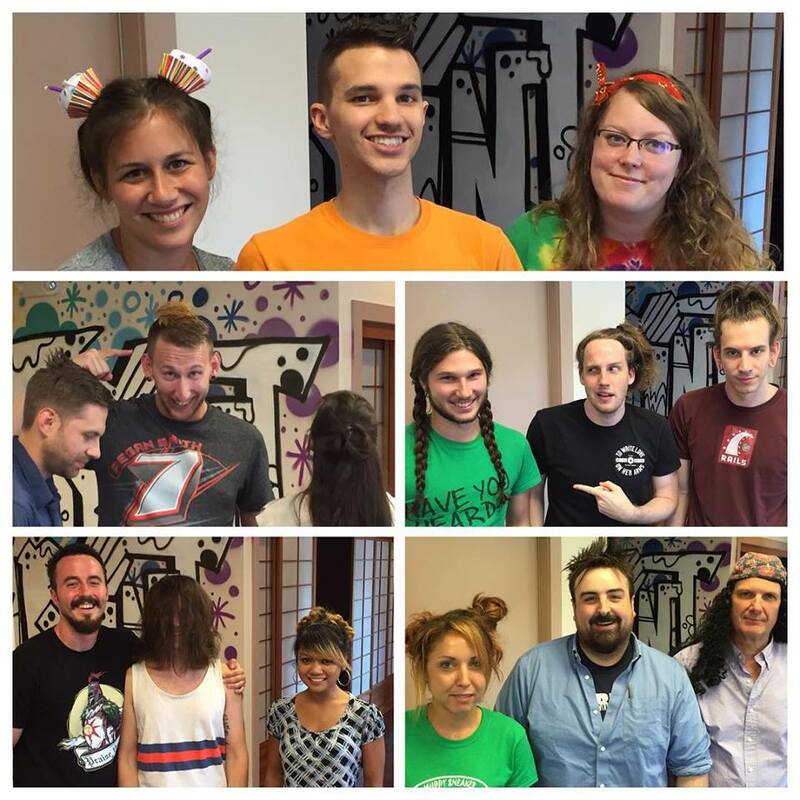 Last week, CatPrint celebrated the annual 2015 Spirit Week! CatPrint always takes your prints seriously, but during Spirit Week, we like to have a little more fun than usual while working. Check out our creativity and craziness! What better way to start off a Monday than with crazy hair?! Check out the different styles above. Which hairstyle did you think was the “craziest”? Tuesday was “Dress like your favorite decade” Day. 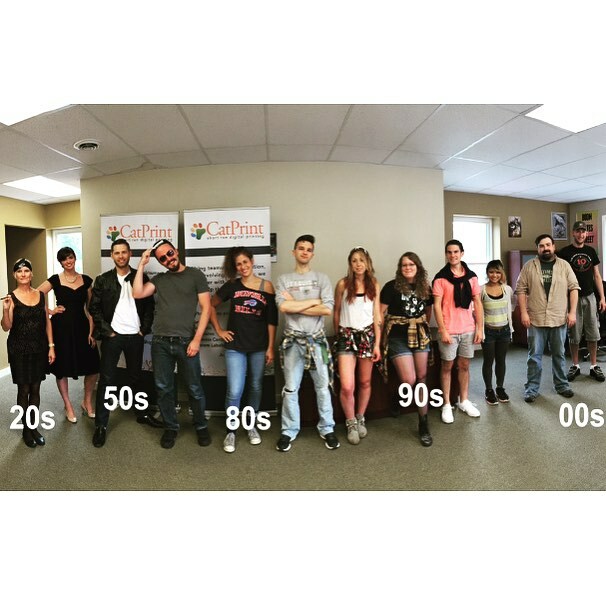 Which was your favorite decade & which was your favorite decade outfit? Wednesday: CatPrint or Cat Shirt Day! 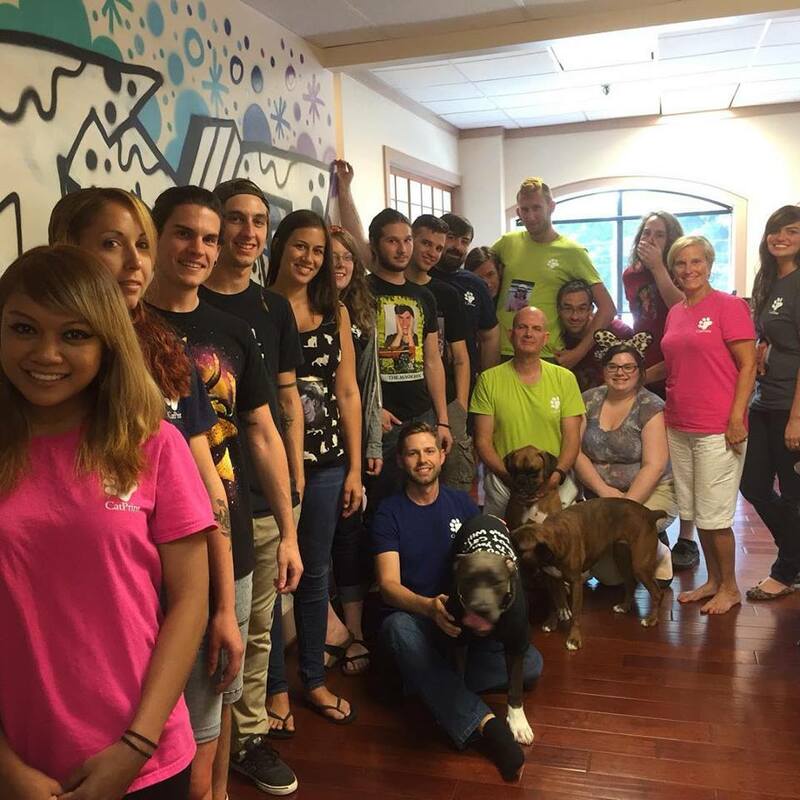 A CatPrint Spirit Week wouldn’t be complete without wearing a cat themed or CatPrint shirt to work! Who says Christmas is only in December? 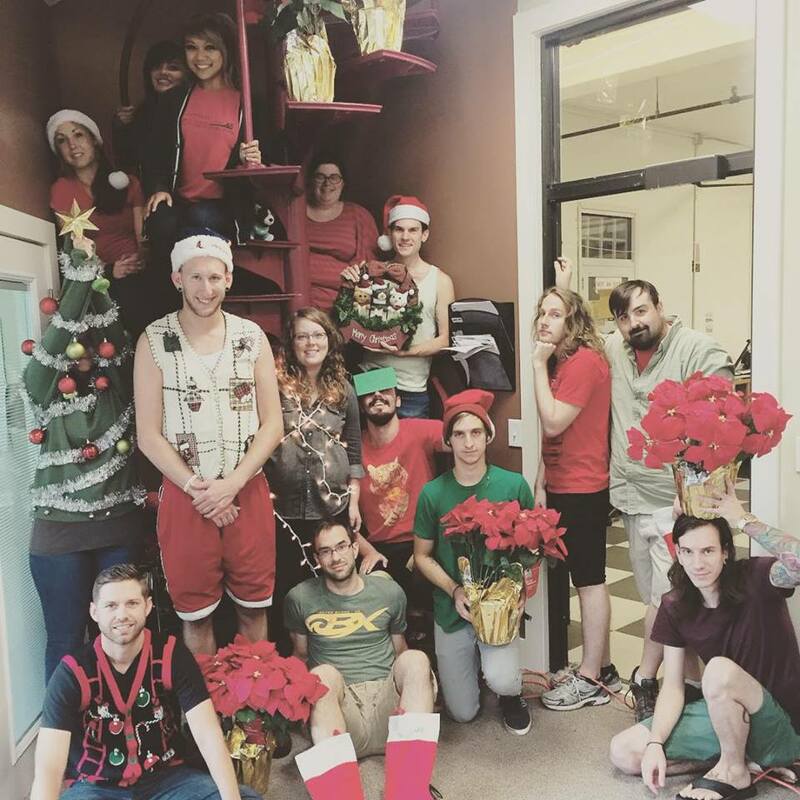 We decided to celebrate Christmas a few months earlier this year in August! 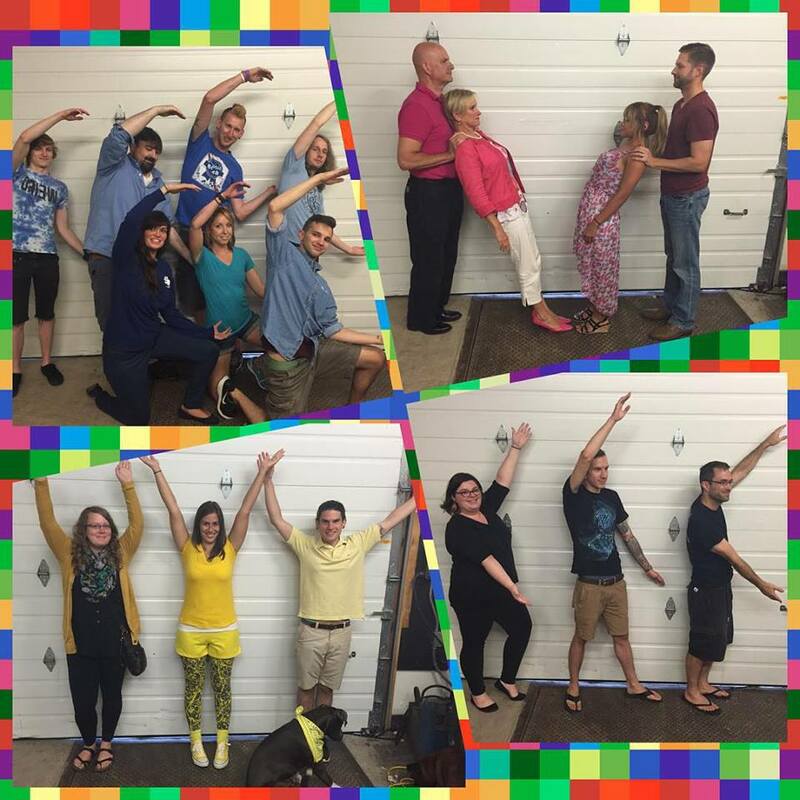 Which was your favorite color themed outfit for CMYK day?